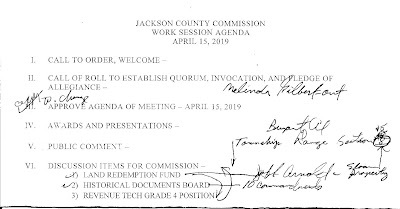 April 15, 2019 Scottsboro, Alabama - Jackson County Commission Work Session - Historical Documents, Ten Commandment Displays, May Be a Dangerous Expensive Road to Travel! COUNTY COMMISSION IS THIS THE ROAD YOU WANT TO TRAVEL?? "The right to religious freedom is guaranteed to all faiths in the United States. 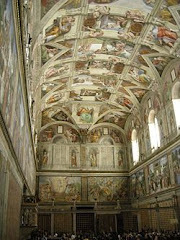 Obviously, Christianity remains the dominant religion – but does that mean Christians should get special treatment?" 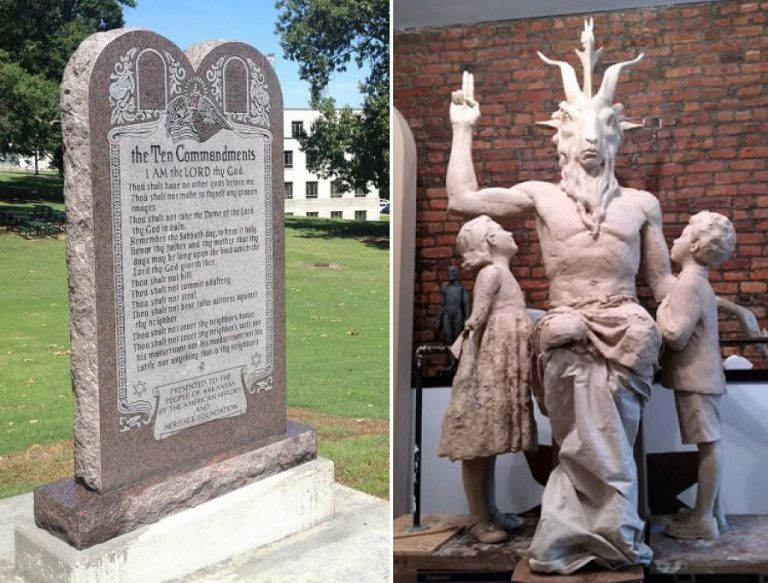 Read more at: https://www.themonastery.org/blog/2018/04/return-of-the-ten-commandments-arkansas-replaces-embattled-statue/ More on this issue below. The Jackson County Engineer, Jonathan Campbell commented that the bridge on County Road 82 is closed due to an unsafe structural support. After the meeting I asked Mr. Campbell how long he anticipated the bridge being closed, he commented unknown at this time, several weeks until repaired. County Road 93 is also closed due to slide damage, it is unknown when the repair to this road will be finalized, Mr. Campbell commented repairs will cost over a million dollars for this road. Historical Documents Board was also on the agenda, item 2, an excuse for the 10 Commandment displays. An example of feel good Political Party ridiculousness before good sense. 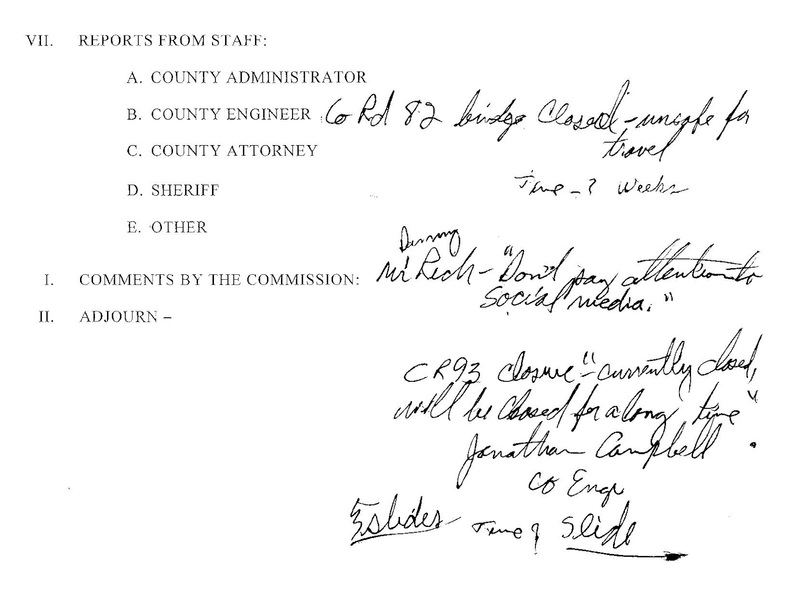 Take note of the article links listed, but I doubt if it will do any good regarding the right wing theocratic ideologues on the County Commission. The county has serious financial problems, what does the commission do, proposes to implement a Historical Documents Board as an excuse to display the Ten Commandments; this has the possibility of landing the County Commission in Federal Court costing the people of Jackson County hundreds of thousands of dollars, if not more. Opposing Government sponsorship of Religion - "...government-sponsored Ten Commandments monuments violate government neutrality, lead to ‘desacralized’ religious texts." 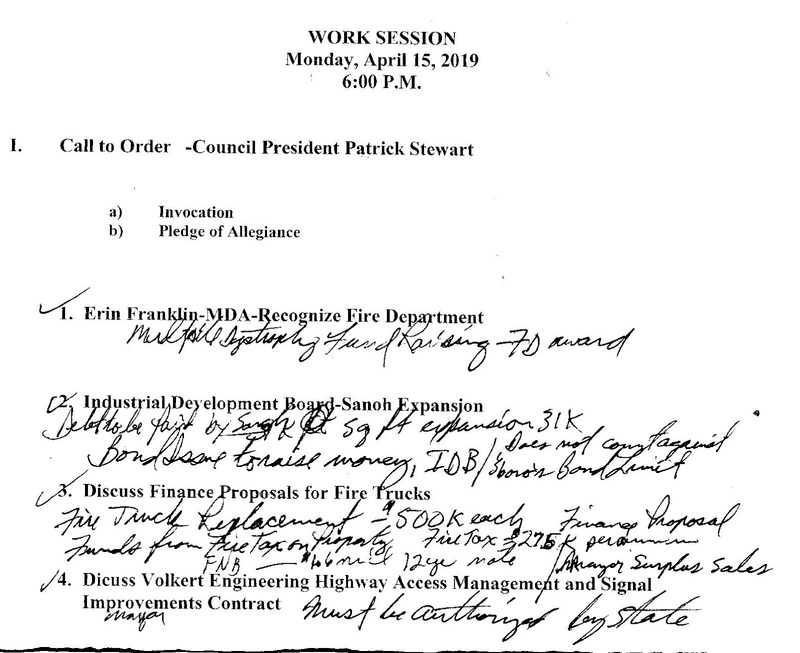 Fire Department Award - Industrial Park - Sanoh Expansion, New Fire Trucks, Equipment Purchases, and Temporary Employee Hires on the Agenda. Scottsboro, Alabama April 8, 2019 Jackson County Commission Regular Session - "The Big Trash Splash"
Regarding the Municipal Judge selection in Scottsboro, Alabama. My thoughts regarding Scottsboro City Council's failures regarding this issue in no way is a reflection on the selection of Daryl Eustice as the Municipal Judge, my personal thoughts are that he will make a fine Municipal Judge. My concern is that of the processes of the Scottsboro City Council in their appointment of Advisory Committees, which in this case appear to circumvent the spirit and intent of the Alabama Open Meetings Act. It is apparent there is an intentional element of secrecy within the Alabama Open Meetings Act regarding Advisory Committees. Any meeting of a committee appointed by the political body including the chair or president of the political body should be announced and open to the public. That is not the case regarding advisory committees. Advisory Committees allow for no disclosure of the deliberation process, it is my thoughts this goes against the Spirit and Intent of the Alabama Open Meetings Act. 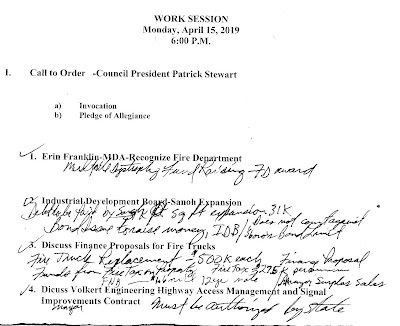 UPDATE 4-9-19: Records request, City of Scottsboro, Al. To date this record request has not been fulfilled. I have been informed by a Public Official there are records relating to this request. Info on this request provided to ACLU Sunshine in Government Program. 1) Records Requested: Consultation Report, Memorandums of Record, Human Resource Management Report from Ms. Hope Hicks, Esq., an Attorney hired to conduct - Inquiry, Findings or Suggestions relating to the Scottsboro Municipal Court and personnel employed by the City of Scottsboro Municipal Court, and/or within the City of Scottsboro as an Employer of employees, as a result of complaints relating to Sexual Harassment, Sexual Discrimination, the Creation of a Hostile Work Environment, or a violation of Civil Rights as it relates to employees of the City of Scottsboro. 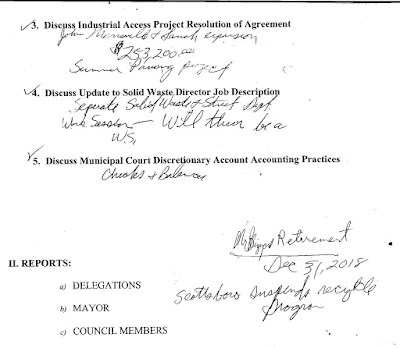 2) Records Requested: Complaints of Sexual Harassment, Sexual Discrimination, and Creation of a Hostile Work Environment relating to the Employees of the City of Scottsboro working in the Municipal Court of Scottsboro, Alabama. Complaints made to Mayor, Human Resources Director, and/or the consulting Attorney, Ms. Hope Hicks, Esq., regarding the previously mentioned subject matter. 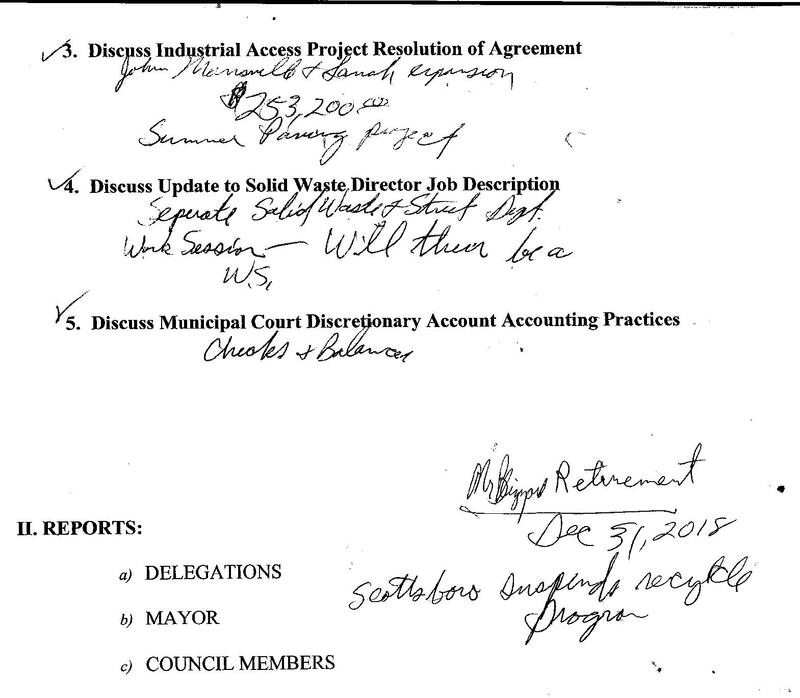 3) Records Requested: Any Findings, Memorandums, Documents or Reports related to the subject matter requested above, within the date range listed above, including documents from City of Scottsboro’s Mayor, any City Council Member, Human Resource Director, Municipal Court Judge, or Finance Director. Records Requested are to be utilized for non-profit news reporting on my blog, “In the Boro,” https:arklite.blogspot.com. Records provided may be released to other area media outlets. Information requested serves a public purpose to inform citizens. Daryl Eustice appointed as Scottsboro Municipal Judge. Citizen presentation by Garry Morgan regarding committee meetings and the Open Meetings Act. Mr. Kennamer, City Attorney clarified Advisory Committees and Committees appointed by the "Body Politic." Approximately $823,000 had to be returned to the County School System. The commission was retaining 5% of the money as a "pass through administrative maintenance fee." The County Administrator Bob Manning stated to me in an interview, he believes the county has sufficient funds remaining to see the county through to the end of the current Fiscal Year which ends September 30, 2019, unless there is another emergency. The Jackson County Commission met with the Jackson County Legislative Delegation at 5:30 PM Monday. This was a full meeting of the commission to discuss revenue issues and tax increases, the meeting to discuss the issues was not announced. I asked Commission Chair Tim Guffey after the Commission Work Session meeting if he had met with the Delegation, he stated they were meeting today after the commission meeting. There was no announcement of this meeting either in the earlier commission meeting or posted on the bulletin board where meeting notices are posted. Due to comments within the video it appears there may have been other unannounced meetings between the commission and delegation. Today it would have been easy to recess the meeting in the Commission Boardroom and announce they would recall the meeting back to order across the street at the Legislative Delegation Boardroom. 55% of the General Fund Budget goes to the Jackson County Sheriffs Department and Jail. The Sheriffs Department is requesting the Commission fund more vehicles for the Sheriffs Department. Jackson County, apparently, has no reserve funds. Video of County Commission Delegation Meeting, some editing to shorten the video, all important context remains. The GOP in Alabama is willing to support an issue to raise the Gas Tax but not willing to give counties the ability to raise revenue without their express permission? A lack of self governance in Alabama is a hold over from Civil War reconstruction. Maintaining power over the people while deceiving the voters as to the legislators motives. 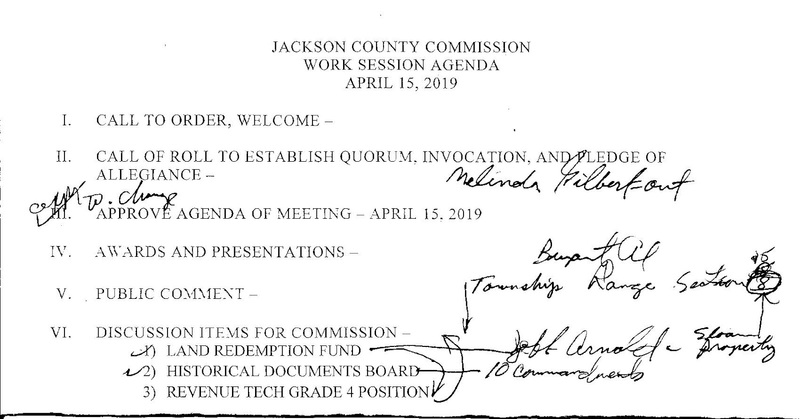 Video of the Jackson County Commission Work Session, Agenda Above. Item 1 on Agenda - Scottsboro City Council Reconsiders Previous Decision, Approves County Park Road and Highway 72 Safety Improvement Project. Item 4 on Agenda - Approval of a $4.5 million dollar bond issue. Item 7 on Agenda - On call Asphalt Paving bid awarded to Wiregrass Construction as lowest bidder. Of note on this Committee selection is the Alabama Open Meetings Act, Code of Alabama 36-25A-1 (link: https://codes.findlaw.com/al/title-36-public-officers-and-employees/al-code-sect-36-25a-1.html ) and 36-25A-2 (link: https://codes.findlaw.com/al/title-36-public-officers-and-employees/al-code-sect-36-25a-2.html ); the Alabama Open Meetings Act is very specific as to committees and open meetings. The selection of the Municipal Court Judge is of great Public Interest, so is the City of Scottsboro's process of selection of this important position. Information has been received regarding attempted outside influences regarding the Municipal Judge Selection. 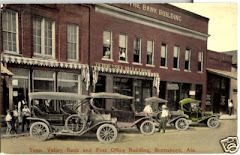 There has also been a reply from the City Clerk of Scottsboro, via email, as to my request to be notified of the Municipal Judge Selection Committee meeting date, time and place: Quote - "There is no meeting. Patrick formed a committee consisting of 2 council members to setup interviews with the applicants to make a recommendation at the special called council meeting immediately following the work session on Monday April 1." My Reply to the City Clerk: "You might want to receive advice from Mr. Kennamer (city attorney) on this matter, "committee meetings" fall under the purview of the Open Meetings Act. If the City of Scottsboro, or official representatives, fail to follow the Alabama Open Meetings Act - specifically, Code of Alabama 36-25A-1, 36-25A-2 defines "Committees," may have adverse effects on any decision made outside of the legal requirements of the law. This issue is easily resolved, follow the law." 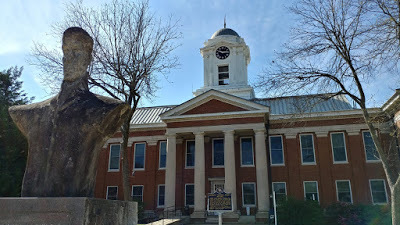 Secrecy, a lack of disclosure/transparency, plain old bad decision making and alleged violations of law are the reasons the City of Scottsboro has had multiple issues, including a compromise of integrity, within the Municipal Court System of Scottsboro, Alabama.